Dr Gigi Foster is a professor with the School of Economics at the University of New South Wales, having received her BA from Yale (majoring in Ethics, Politics, and Economics), and her PhD in economics from the University of Maryland. Her research interests and contributions lie in the areas of education, econometric methodology, behavioral economics, and the multi-disciplinary analysis of human behavior in groups. 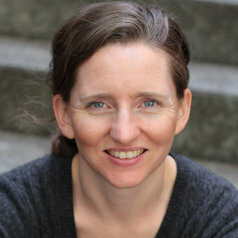 Dr Foster’s research has been supported by the Australian Research Council, the University of New South Wales, the University of South Australia, the University of Maryland, and the Spencer Foundation, and has been published in a variety of academic journals including Journal of Public Economics, Quantitative Economics, Higher Education, Human Relations, and Journal of Economic Psychology.